Years ago, I watched a hunter skinning and cutting out the breast meat from a drake canvasback. I stood there, mesmerized. It was the first canvasback I’d ever seen in the flesh. 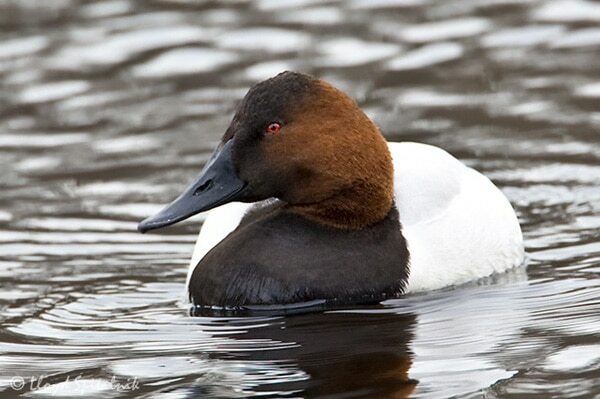 Canvasbacks, if you are not familiar with them, are the king of ducks — so prized that it would cost $125 in today’s money to order one in a restaurant, back when this was legal nearly a century ago. Then and now, canvasbacks are a treasure at the table. In the years since, I’ve managed myself as best I could. When I see people skinning and breasting even perfectly shot, beautiful birds, I just look away. I try to forget about it when I hear comments like “the only legs I like are on a woman.” After all, most of the hunters doing this are good people, friends even. And the last thing I want to do is stand there haranguing people about what they should and shouldn’t do with their birds. I understand why many hunters breast out their birds. If I were raised in a hunting community and everyone around me breasted and skinned our birds, chances I’d do the same thing. inertia and tradition are powerful forces. How a person perceives food makes a huge difference, too. If you view food merely as fuel, eating the animals you shoot becomes more of an obligation than a joy. You do it because you are supposed to, not because you prefer pheasant to chicken, or venison to beef. But even though I understand why hunters breast out their birds, it does not mean I have to like it. For me, breasting out a bird shows disrespect for the animals we say we love. Consider this: As hunters, one of our strongest arguments when we’re trying to convince non- or anti-hunters that we are not in fact callous killers is that we eat what we bring home. Breasting out birds and tossing the legs, wings and giblets in the trash damages – some would say destroys – that argument. I’ve heard all the excuses. “Coyotes and buzzards gotta eat, too.” Sorry, but we do not hunt to feed scavengers. I have also heard endless rationalizations about how it’s OK to dump the legs of pheasants, ducks and geese because they’re inedible, which is horseshit. All this rings especially hollow when you consider that this sort of waste simply does not occur with domestic meats, and especially with the factory-farmed meats we all love to hate. As foul as it may be, in the industrial meat complex, nothing goes to waste. And I mean nothing. Scrapple, anyone? Even I don’t make duck scrapple, and I am, admittedly, an outlier in the hunting world. I am fond of telling people that I use “everything but the quack” on a duck or goose, but I still toss the feathers, intestines, lungs and head – although recently I have begun saving the tongues to make Chinese dishes. A stronger counter-argument, however, is the very real truth that what I might view as good eats is another person’s trash. As hunting ethicist Jim Tantillo of the Orion Institute says, “Where one hunter sees pickled moose tongue and stuffed elk heart, another hunter sees food for carrion beetles and ‘the marvelous process of renewal.’” It is wrong to suggest that you cannot an ethical hunter if you don’t happen to enjoy making your own duck stock, or eating liver pate. And, scavenger argument notwithstanding, Tantillo has a point about that “marvelous process of renewal” — but only if you leave the carcasses of your birds in the field. If you toss them into the garbage can, that renewal will only occur at the city dump. To my mind, this slippery slope of what ought to be eaten from a duck or goose ends at the supermarket. Walk into any market in America and tell me what you see: chicken breasts, yes, but also drumsticks, legs and thighs. Ditto for turkeys and ducks, too. Make no mistake: Hunting is a privilege that can be taken from us. If society sees hunters as wasteful rednecks who can’t even be bothered to toss skinned pheasant legs into a crockpot with a can of cream of mushroom soup, we are in deep, deep trouble. I am not saying we all should be required to pluck every bird we bring home, nor am I saying that everyone must eat giblets and wingtips and such. Sure, I do. But like I said, I am an outlier, a freak even. Surely there is some societal norm that we can all agree to about what parts of a bird ought to be kept? There is, and it’s in Montana, a state with more hunters per capita than anywhere else in America. Montana has a law that requires hunters to use the legs of every bird they shoot larger than a partridge – if you’re not a hunter, that’s about the size of a Cornish game hen. So in Montana, you must use the legs (skinned or plucked, either way) of pheasants, ducks, geese, turkeys and grouse. Most of us would agree that this is reasonable, no? But let’s face it. No law will prevent those who don’t want to eat the legs of their game birds from tossing them in the trash. Legislating morality is a dangerous game that often leads to zealotry and unintended consequences. The bottom line is that what I think or support doesn’t matter. What matters is what you think. One of the primary reasons I run Hunter Angler Gardener Cook is to get hunters to want to eat more parts of the animals they bring home, even if it is just in a crockpot with cream of mushroom soup. It’s why I’ve been doing what I’ve been doing for five years now. And let me tell you, one of the things that keeps me so excited about HAGC is the steady stream of email I get from hunters who’ve taken a chance on cooking legs, wings, gizzards, etc., and are writing to tell me how much they enjoyed it. Emails like that make my week. If you are one of those hunters, here’s the best present you could possibly give me in 2013: Find some skeptics and cook for them – only be sure to cook the legs, wings or giblets of whatever game bird you have in your home. Pheasants, ducks, geese, it doesn’t matter. If you can convince just one more person to save the legs on his birds, we’ve all won. And if you happen to be one of those skeptical hunters, I humbly ask you to try any one of the recipes for legs or wings that you can find on this site. Just try it. For me. If you do, I’m betting you might just change your mind. What about smaller game like dove? I know quail is often roasted whole, but is dove? Funny you should mention duck scrapple… Last week I was eating some homemade scrapple (I’m from Philly) when I chomped a BB. What the?? Then of course I remembered the old frozen spoonies I threw into the mix. Homemade scrapple is a great way to clean out the freezer! Hi Hank. I’m looking over your older posts and enjoying myself (through some tears, I admit, when I read “On Killing”). This post really got me. Philosophically, I celebrate and share your opinions, yet I see that I have not been walking the talk when it comes to most of the animals I kill. Admittedly, I’m not a duck hunter. Sitting for hours in the dark in a freezing wet blind while waiting for a tiny duck isn’t calling to me. Walks in the fall woods with the dogs looking for fat slow pheasant is more my speed, and I do keep and use the legs. My son is the primary duck hunter in the family. I have watched him breast out a duck many times, usually after he shows me the outrageous plumage and notes the majesty and perfection of it’s design. I myself have wrapped the wings around the ruined bird and taken the carcass to the dump in a plastic bag. Being a hypocrite is a hard road to walk. I believe that killing food myself , is the most responsible way I can live into my relationship with the natural world. The pretense that we don’t all actively participate in killing is a pervasive social and moral mass deception with which we try to insulate our conscience and I refuse to buy in. Yet here I am, self-righteously throwing abundance away. In the dump no less! I, who preach that the natural cycle of life from birth, through decay and rebirth, is the true miracle of God. I’m shamed by your words. Thank you. I have seen the light, so to speak. Waste not, want not. Bring on the duck stock, the pate, the consume. Bring on the curry, the mole, the tangine. I’m ready to try, to learn, to reform.